While the Chicago media made a very big deal of this, what they didn’t tell you was Detroit and Baltimore – two cities (and DMAs) who are also struggling with problems, also lost population – though both cities are not in the top twenty largest. 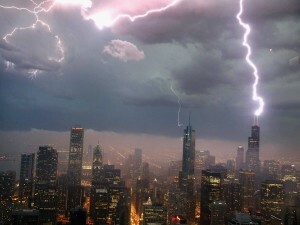 Still, the numbers are alarming – less residents means less buying power means less revenue for media outlets – and possibly more job losses for cash-strapped companies such as iHeart Media and Cumulus, who already laid off a number of people here – and layoffs are likely when Sinclair takes over WGN-TV later this year. The cancellation of Chicago Justice, APB, and relocation of Steve Harvey’s syndicated show and Johnson Publishing to Los Angeles has also cost hundreds their jobs. In recent years, the number of people leaving the Chicago area has been led by African-Americans. While Chicago maintained its ranking as the third-largest TV and radio market in the country, the rank in TV homes among African-Americans slipped from second in 2006 to fourth in 2015, with a strong possibility of slipping to fifth next season. Unless the city and state can get a handle on their problems, the population decline is likely to continue. The soft adult contemporary format WRME-FM has in place is about to go national: Weigel Broadcasting announced this week it was teaming up with Envision Networks to distribute the format to radio stations around the country. Launched in 2015, MeTV FM on 87.7 FM has put up impressive numbers, often landing in the top twenty most-listened to stations in the Chicago market. This means a local radio station can go to Envision to license the format for their market, similar to what Sparknet Communications does with Jack FM. Core artists on the station include Hall and Oates, The Carpenters, Stevie Wonder, Billy Joel, and Aretha Franklin, among others. Last fall, MeTV FM launched a separate internet feed of its Chicago music station. NBCUniversal’s Comcast SportsNet Chicago has made a major managerial change as Phil Bedella is out as vice president and general manager. 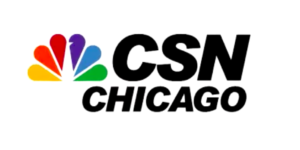 As first reported by Robert Feder, the move comes as CSN Chicago – like all cable networks, are dealing with subscription losses due to cord cutting. In the last year, CSN Chicago cut back on news shows in favor of In The Loop, a viral video and discussion show. However, the regional sports network has introduced in-game streaming on numerous devices for its sports telecasts. There is no word on who would replace Bedella, and no reason was given on why the thirteen-year veteran of the network was released. 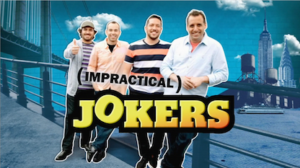 If you watched NCAA Tournament games on TruTV in recent years, you’ve probably seen (or been bombarded with) promos for Impractical Jokers, a half-hour weekly series which is basically a new take on Candid Camera. Well, repeats of the show are being made available to local stations via syndication this fall with Trifecta Entertainment distributing the show. The series has been sold to outlets covering 85 percent of the country in double-runs. Terms of the deal were not released, and neither was a station list but did say the show “cleared the CBS and Sinclair station groups in the largest markets.” Other groups buying the show include Tribune, Weigel, Hearst, and Gray. Now in its sixth season and headed for a seventh, Jokers features four men who play hidden-camera pranks on each other. The series is obviously targeted to male viewers – an underserved group in syndication. The series’ first five seasons are only being made available. Yours truly criticized (rather reluctantly, given yours truly is a fan) Arnett’s interviewing skills and the overall pace of Presents during last year’s show. 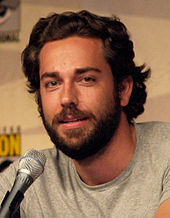 The former Chuck star had been at Comic-Con for years through Nerd HQ as Comic-Con off-site project, but decided not to hold the event this year. Levi did not state a reason why the plug was pulled. For more media news, commentary, and fun, follow yours truly on Twitter @tdogmedia. There is still a chance the Sinclair company may not be given control of WGN-TV and the other stations of Tribune Media later this calendar year. Do not lose hope in that possibility.